Our Galapagos private yacht expedition remains one of our most highly rated natural history programs and is consistently our travellers’ “trip of a lifetime”. 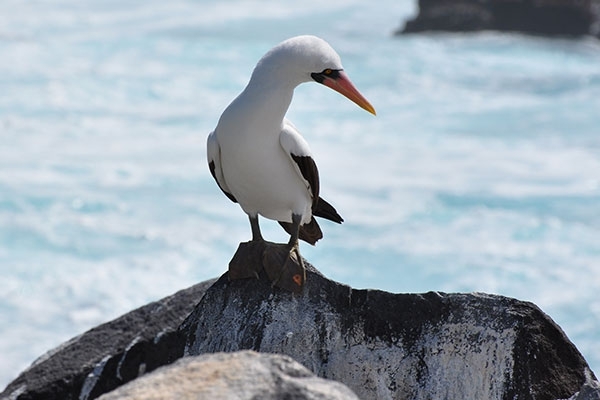 Our expert Quest leader and local Galapagos naturalist guide are on board to lead island walks and on-board talks as we set sail to discover these remarkable island ecosystems, skirting past nesting boobies, scouting the seas for breaching whales and snorkeling among colourful fish. Desolate at first sight, these rough and rocky isles are home to wonderfully strange and abundant wildlife. As Charles Darwin did almost 200 years before us, we will marvel at the highly adapted creatures found nowhere else on Earth. All of the reptiles, half the birds, 32% of the plants, and 25% of the fish are unique to this amazing archipelago. It is a living museum of evolutionary changes. And what is so special about the Galapagos experience is that these creatures act as though humans are nothing more than a passing interest, allowing us to observe them up close. Undisturbed by our nearness, they engage in intriguing courtship displays, groom one another, forage for food and nurture their young. Giant Tortoises graze in the lush highlands and dinosaur-like Marine Iguanas sun themselves on black lava rocks along the shores. 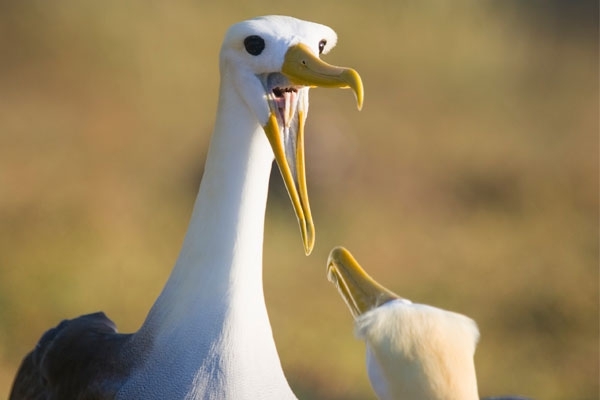 Tiny Galapagos Penguins and playful Galapagos Sea Lions dart through the waters like torpedoes, while both Magnificent and Great Frigatebirds patrol the skies. 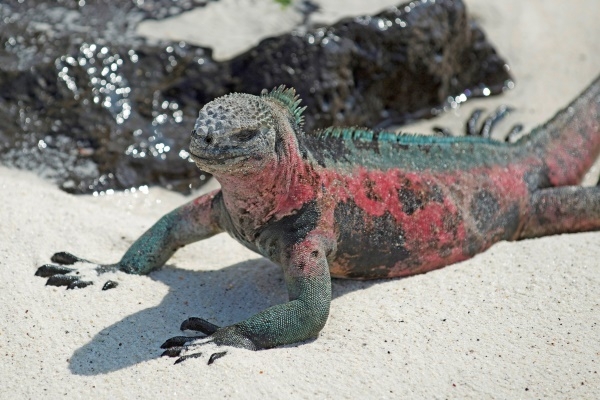 There is no place in the world quite like the Galapagos Islands! 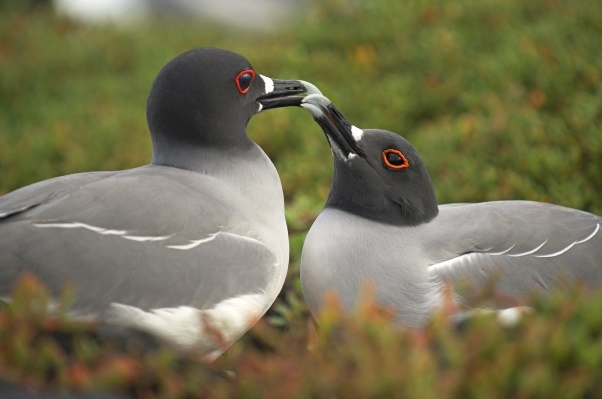 Read about Justin's encounter with the Swallow-tailed Gull here. Have you ever wanted to explore the Amazon rainforest, see Machu Picchu or discover the tremendous bird diversity in Ecuador's cloud forest? 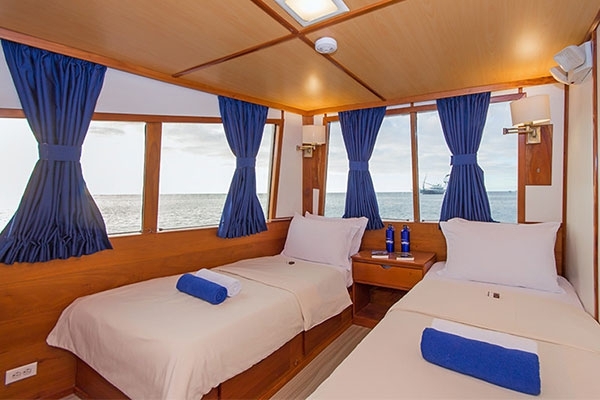 We offer three different extensions in conjunction with our Galapagos expedition. Please enquire! Accommodation, all meals, all activities and entrance fees, all ground transportation, expert local guides, arrival and departure transfers at destination, internal flights, accompanied by Quest Nature Tours naturalist-leader. 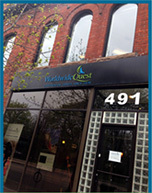 Taxes and gratuities of US$275 are included. 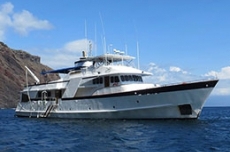 We charter the M/Y Beluga exclusively for our Quest group. 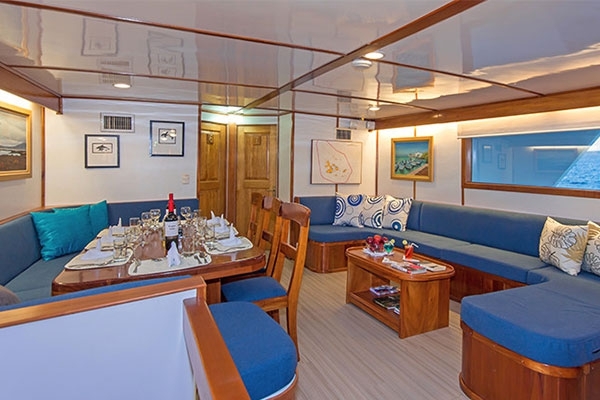 This steel-hulled motor yacht is 33.5 metres long, accommodating 16 passengers and 8 crew. She travels at a speed of 12 knots, allowing us to get to 8 islands comfortably during our 8-day expedition cruise. 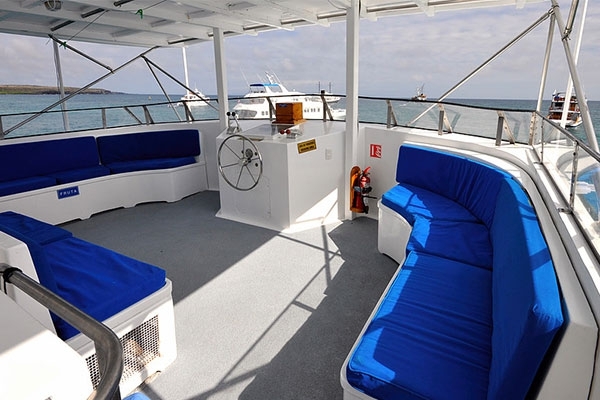 She is well-appointed with comfortable private cabins and ample lounge and observation deck space. As a former faculty member in the School of Environmental Sciences at the University of Guelph, Alan Watson taught nature interpretation, environmental stewardship and a conservation field course. 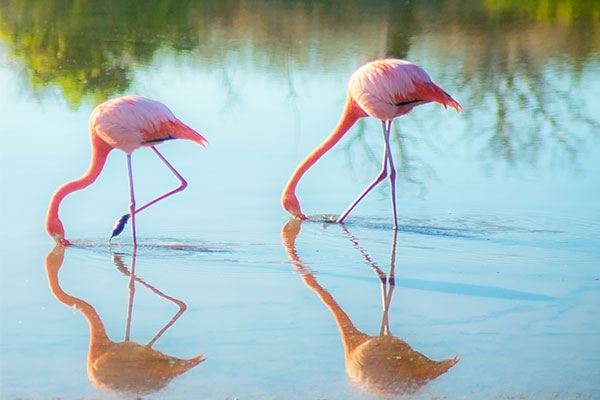 With over 25 years of experience leading nature tours, Alan has guided groups in southern Ontario, Canada's Maritime Provinces, Trinidad and Tobago, the Lesser Antilles, Costa Rica, Brazil, Tanzania, and the Galapagos. "The Galapagos Islands inspire you to think differently about the world."